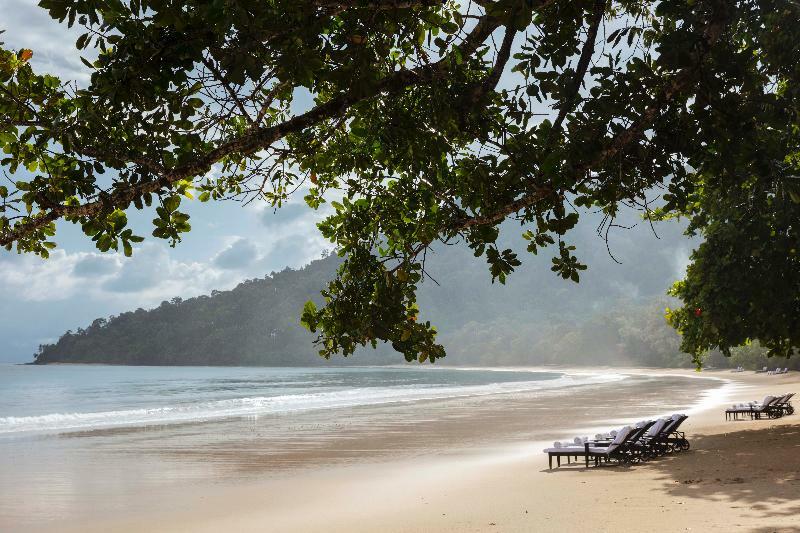 The hotel is nestled in the heart of an ancient tropical rainforest, on the north western tip of Langkawi, with a secluded white sandy beach facing the calm Andaman Sea. 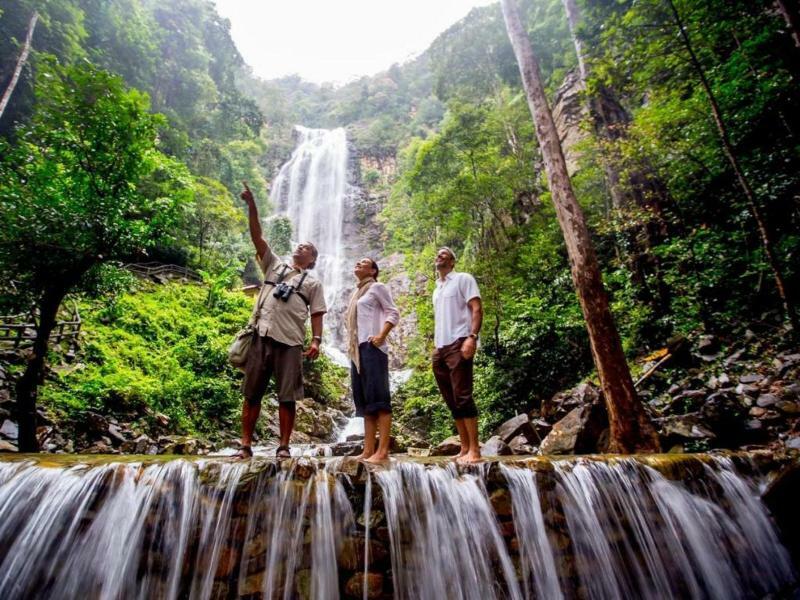 It is around an hour by car from the island's international airport, which is about 20 km west of Pulau Langkawi's main town, Kuah. The island of Langkawi is located on the northern part of the Malaysian peninsula, where the Straits of Malacca meet the Indian Ocean. 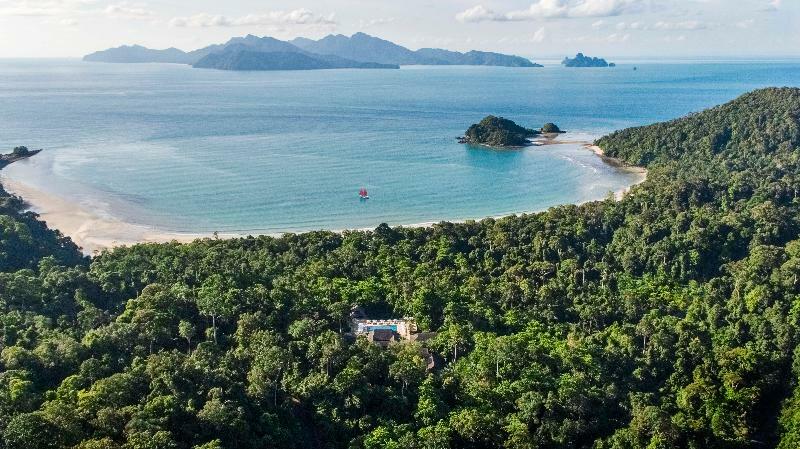 Some 30 km off the coast of Kedah state and the largest of a cluster of 104 islands, Langkawi is an island of natural beauty blessed with lofty limestone outcrops, dense vegetation, pristine beaches and azure waters. 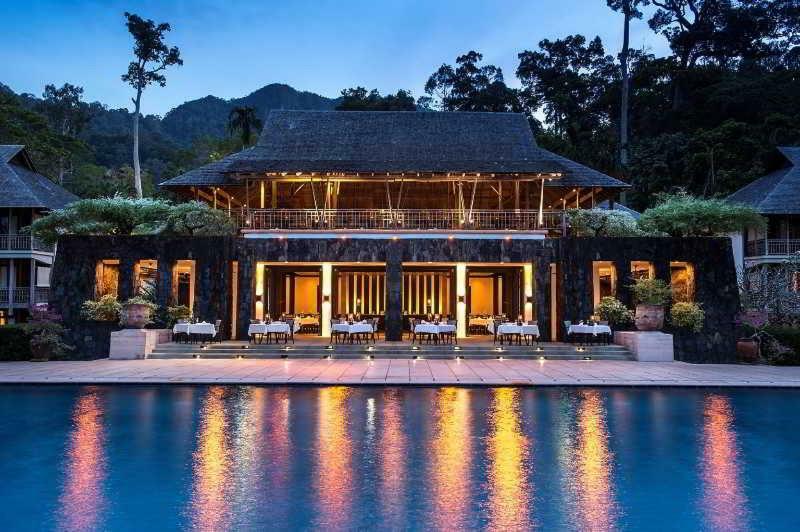 The spectacular resort The Datai Langkawi lies nestled at the hear of an ancient tropical rainforest on the north western tip of Langkawi. 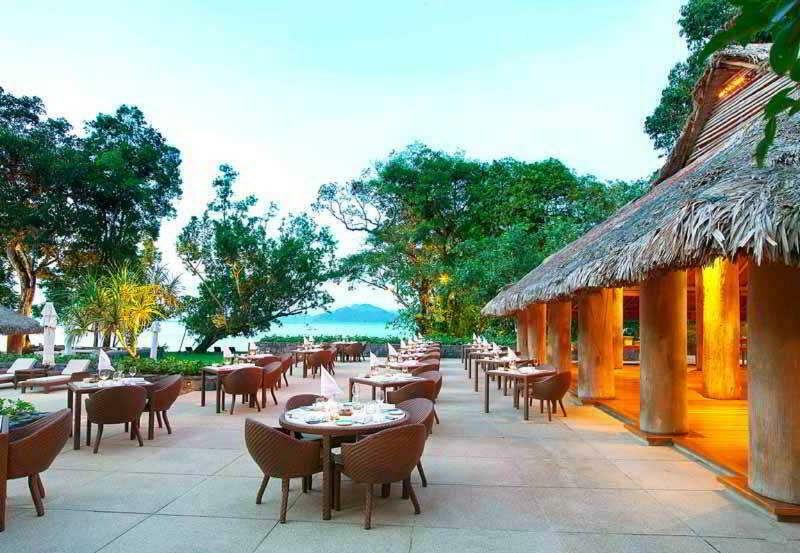 This magnificent retreat is a 1 hour's drive from the island's international Airport, 20kms from the prominent town of Kuah. 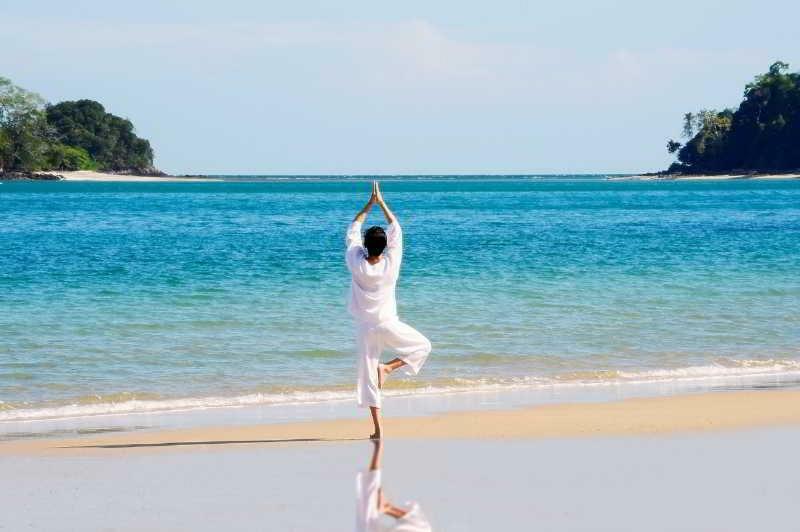 Langkawi is an island of intense natural beauty with limestone outcrops, luxuriant vegetation, pristine beaches and azure waters.The hotel adds to the canvas of bright blue, powder-white and emerald green with stunning Malaysian style and flawless elegance. Guests will be impressed by the superb guest rooms, villas and Suites, each of which is beautifully decorated to a high-level of quality. Guests can enjoy the host of recreational activities including a Spa with massage and treatments for the ultimate relaxation and mountain biking so guests can explore the enchanting surroundings. The hotel offers travellers a total of 122 rooms. Most storeys are accessible by lift. Services such as a safe and a currency exchange service ensure a comfortable stay. Wireless internet access is available to guests in the public areas. 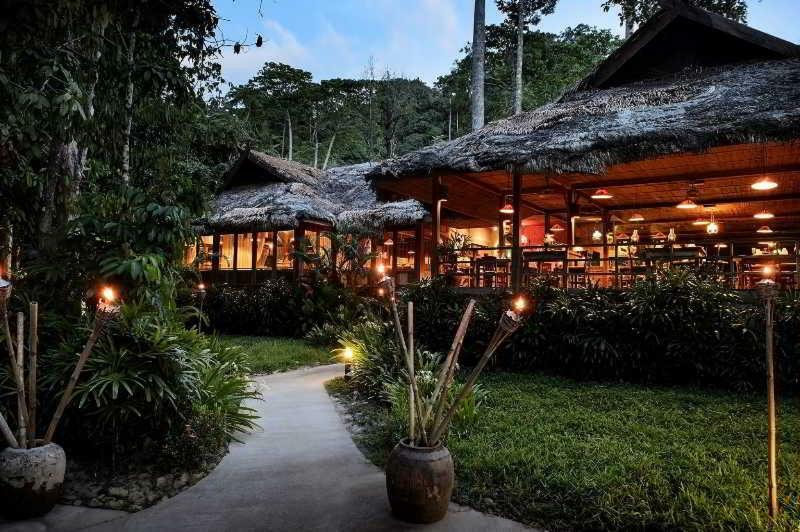 Various gastronomic options are available, including a restaurant, a dining area, a café and a bar. Various shops are available, including a souvenir shop. There is also a garden. Additional facilities at the establishment include a library. Those arriving in their own vehicles can leave them in the car park of the accommodation. Available services and facilities include a babysitting service, medical assistance, room service, a laundry service and a hairdresser. Each of the rooms is appointed with air conditioning, a fan, a living room, a kitchen and a bathroom. Most rooms feature a balcony with a view for guests' enjoyment. Many rooms feature a sea view, which further enhances the ambience. Travellers can enjoy a good nights' sleep on the king-size bed. Extra beds can be requested. A safe and a minibar are also available. Additional features include a mini fridge and a tea/coffee station. An ironing set is also available for guests' convenience. Other features include internet access, a telephone, a TV, a CD player, a DVD player and WiFi (no extra charge). Slippers are laid out in each of the rooms. The bathrooms have a shower, a bathtub and a hot tub. A hairdryer and bathrobes are provided for everyday use. Special family rooms are available for families with children. The hotel offers an outdoor pool and a children's pool. It is also possible to use the sun loungers on the sun terrace. The hot tub is the perfect place to relax. The poolside bar serves a selection of refreshing drinks. Those wishing to enjoy an active holiday can enjoy tennis and golf. For a fee, biking/mountain biking is also available. Water sports enthusiasts can enjoy windsurfing, sailing and snorkelling. Guests of the establishment can enjoy indoor activities, including a gym. 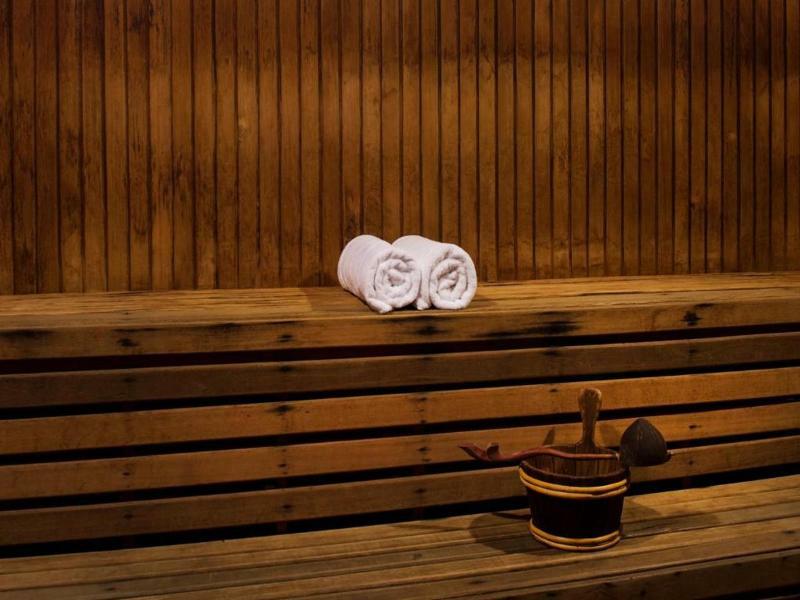 A wellness area with a spa, a sauna and massage treatments is available at the accommodation. Additional services include an entertainment programme for children, offering numerous activities. The best living in-the-jungle experience ever.. the datai was incredible. 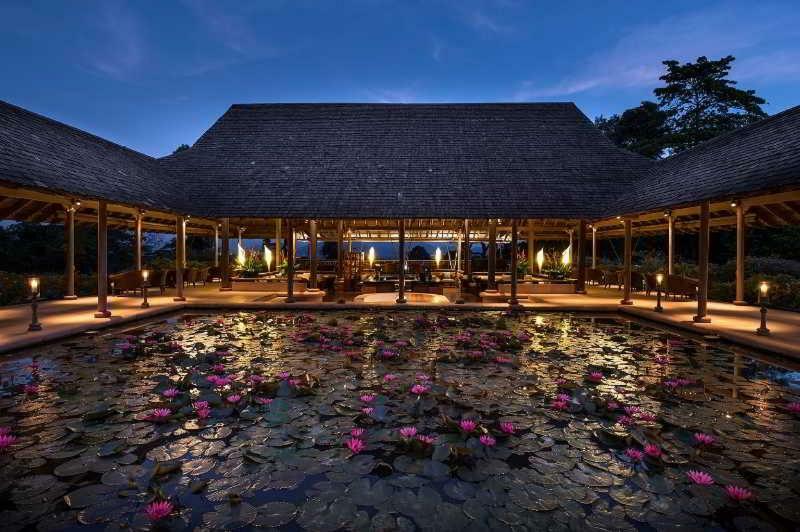 Want to stay at The Datai? 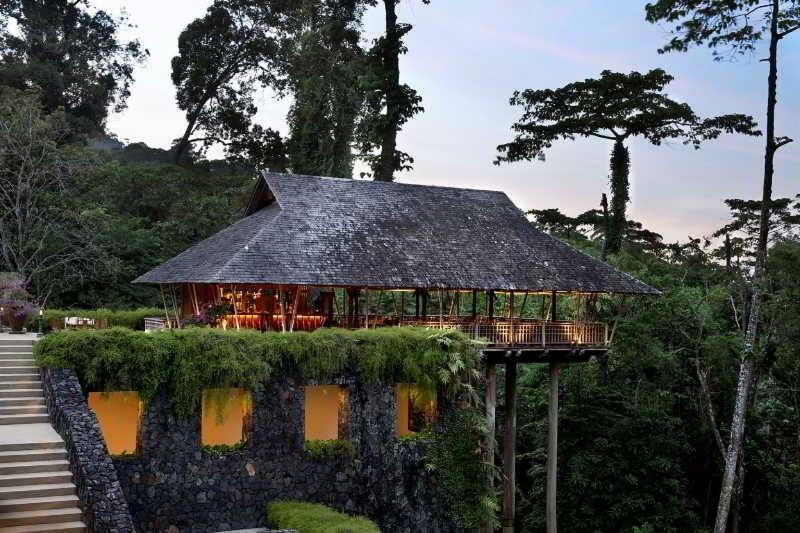 Rehlat.com helps you find your perfect hotel room or suite accommodation in The Datai. With our fast online search facility you can view detailed hotel description, photos, and testimonials and securely book your hotel room online.We would be glad to help you in The Datai booking. The hotel offers value-for-money accommodation in the heart of City’s commercial district, perfectly surrounded in the area of business, culture, and tourism. The compact but functional rooms are complemented by all the modern amenities needed to ensure a relaxing and comfortable stay. Get your The Datai booking done on Rehlat and avail huge discounts and best last minute deals on hotel reservation costs. The booking gateway of Rehlat is simple, easy, and safe and has secure localized payment options like Sadad, CashU, KNET, and Master/Visa cards to make sure that you get a hassle-free, personalized and safe experience.Corporate travelers with The Datai booking can be rest assured that their stay will be comfortable while leisure travelers can make use of the concierge's vast local knowledge before preparing their itinerary. 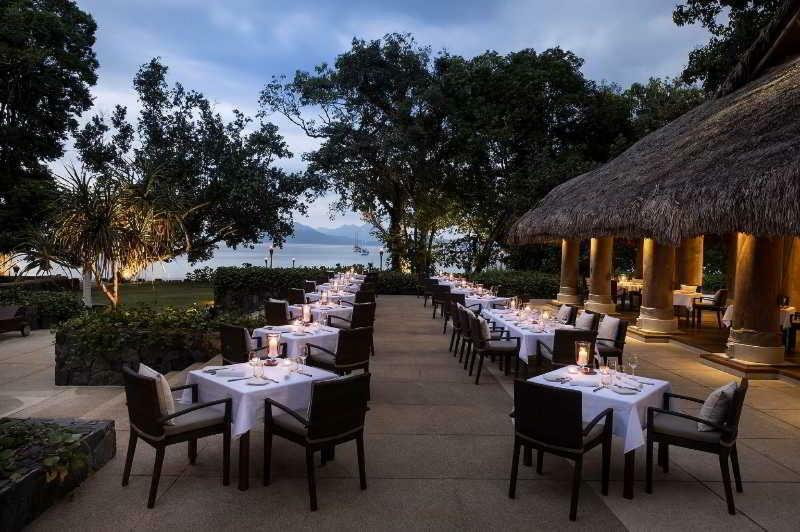 After a long day out, clients can relax and enjoy the personalized service by the expert staff at the comfort of their modern state-of-the-art rooms.Reserved your stay at The Datai and now want to change the date or have some other question? No worries! Call Rehlat’s multilingual customer support (English & Arabic) and get your every query and concerns answered and addressed.Also know the key amenities of The Datai along with the policies for the hotel at one place. Happy Staying at The Datai!